Is Non-Woven Needle Felt Filter Cloth Right for Your Application? Home / Are Non-Woven Needle Felt Cloths Right For Your Press Operation? Are Non-Woven Needle Felt Cloths Right For Your Press Operation? Pictured here are a variety of Micronics’ polypropylene needle felt filter press cloths. Contact us for the best selection of high-quality non-woven and woven fabrics for your press operation. In addition to a whole range of high-quality woven filter cloth fabrics, Micronics specializes in industry-leading non-woven Needle Felt Filter Cloths for a range of demanding applications. Needled felts are constructed by punching a fiber batt into itself to hook and entangle fibers which then form a thin, relatively dense structure, either with or without a light woven support scrim. 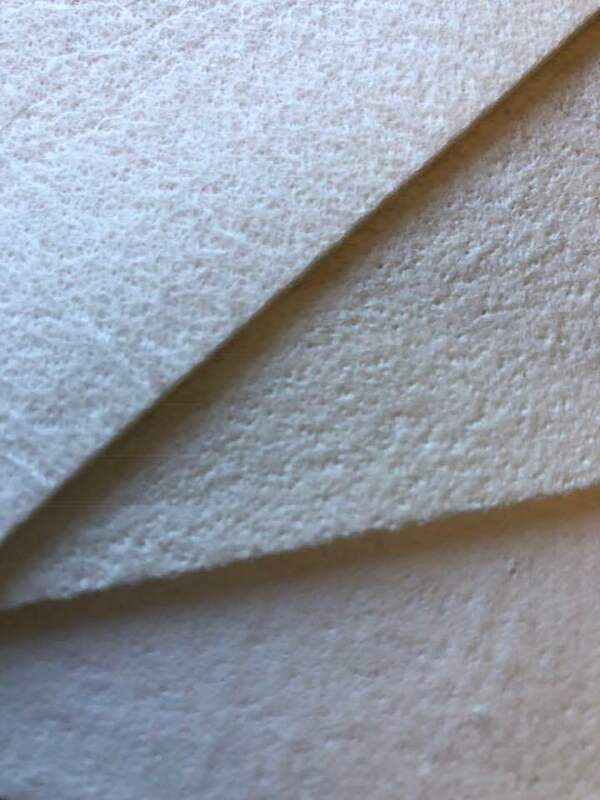 Needle or needled felt cloths have smooth surfaces and offer good depth filtration and particle capture, particularly in polishing applications. We offer different permeabilities and a range of finishes such as glazed on two sides, singed, and plain to achieve the different filtration objectives needed for your operation. Contact us to explore Micronics’ full range of custom woven and non-woven filter cloths for your application and to request a filter cloth quotation.